« Will you be the Master Builder of Yamataï? 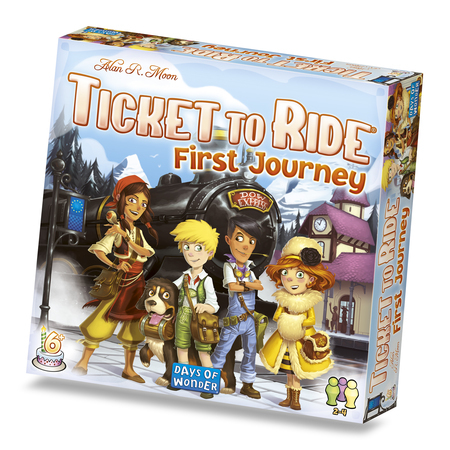 Ticket to Ride First Journey is a stand-alone game for 2 to 4 players ages 6 and older, which takes approximately 15-30 minutes to play. 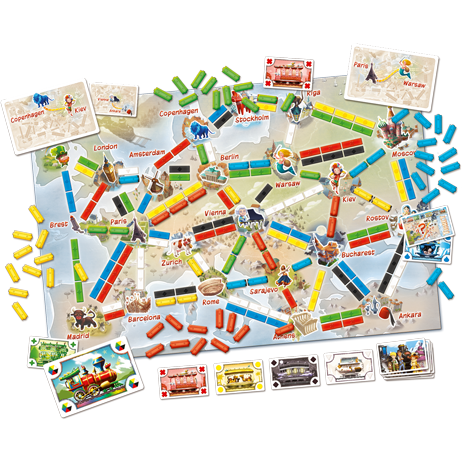 It includes 1 Map of Europe, 80 Custom Plastic Trains (20 per player), 72 Train Cards, 32 Ticket Cards, 4 “East-to-West” Bonus Cards and 1 Golden Ticket. Ticket to Ride First Journey is expected to be available throughout Europe in March/April at a retail price of €30. This entry was posted on Thursday, January 26th, 2017 at 15:09 and is filed under Games, News, Ticket to Ride. You can follow any responses to this entry through the RSS 2.0 feed. Both comments and pings are currently closed. Will this not be available in Canada? The US one isn’t as it’s a Target exclusive, and now this shows Europe only…any love for Canadian kids?